Construction Staffing in Washington, D.C.
Are you looking for proven craftsmen to support your core skilled employees for a short-term project? Do you want to avoid increasing your workers’ comp exposure and eliminate costs and hassles associated with adding permanent payroll? Want to maximize workforce productivity… your bottom line? Call Tradesmen International to make us your source for construction staffing in Washington, D.C., as well as Northern Virginia and Maryland. We provide highly skilled construction professionals to contractors across the D.C. metro area, and we can do the same for you. 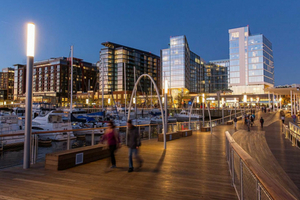 Tradesmen provided 70 electricians for Washington D.C.s The Wharf project — a $2 billion project that encompasses three music venues, two apartment buildings, a condo building, multiple hotels and over one acre of green space. 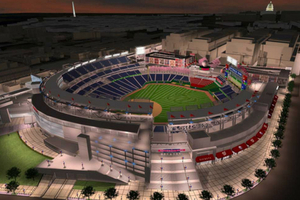 Nationals Park, in Southeast Washington, provides panoramic views of the riverfront and Navy Yard, plus the Capitol and the Washington Monument and every week, Tradesmen sends laborers to the park to help during the games. 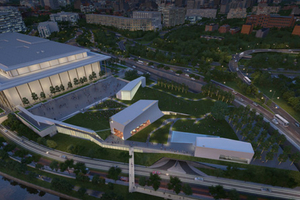 The Kennedy Center’s first-ever expansion will add 72,000 square feet of interior space and increase public areas by more than 20 percent; Tradesmen has provided four concrete laborers for the project. Contractors who utilize Tradesmen International to add skilled labor to their core craftsmen reduce their annual construction labor expenses by an average of 22%. Since all of our craftsmen are employed by us, you do not have to worry about paying for overtime, benefits, workers’ compensation, and unemployment costs. We take care of that, so you can concentrate on bringing your project in on time and under budget. If you need additional construction staffing in Washington, D.C., contact Tradesmen International right now for immediate service. Find skilled craftsmen in Washington D.C.